We understand that you and your child feel it is important to be able to contact each other while they are away. In previous years we have found that it causes problems for participants to have constant access to their mobile phones. It can be distracting to other camp members and often exacerbates homesickness. At present we allow participants to bring their mobile phones to camp and events, but they cannot be used during any camp activity without prior permission. Mobiles currently are allowed to be used at free times and after the camp day has finished. Sinai Youth reserves the right to take any phone of a child which has been used at a time it shouldn’t have been, at the discretion of the madrich/a present. The final say as to when the device will be returned rests with any member of the SMT. Mobile phones may also be confiscated if devices are used in an inappropriate fashion at a time when their use is allowed. This includes taking pictures and videos, posting content to social media and the like, in a way which contravenes our rules of expected conduct and halachic policy. 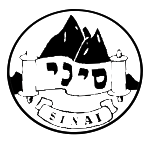 Sinai Youth reserves the right to change its phone policy in between now and the camp. Under exceptional circumstances we will of course allow participants to contact their parents. The Rosh of camp will have a phone with them at all times. Should your family have a true emergency where time is an important factor, please use the emergency camp number. Please consider whether this is necessary before you call as the Rosh is very busy on camp making sure it runs smoothly. The number for the phone will be given out near to the time of camp. All the children love receiving messages and packages whilst on camp and we encourage you to send messages to your children during camp. Please note that we do not allow any food parcels, supermarket deliveries and the like to be sent to camp. This can make children who do not receive parcels uncomfortable and even parents have reported feeling under pressure to have to send food. Sinai endeavours to serve balanced meals which have been checked by a dietician, and there is no reason for any child to go hungry. There will also be a tuck shop open where participants can buy food and drinks. All special dietary requests such as gluten free should already be marked clearly on the registration form. Should you be concerned about the food your child will eat on camp please email camps@sinaiyouth.org.